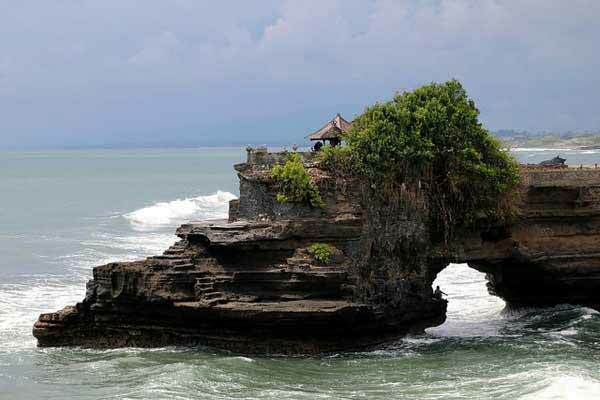 Bali is an Indonesian island sandwich between Java to the west and Lombok to the east. It is bursting with rice paddies, jungles, mountains and an abundance of beaches; it has something for everyone. It’s located only eight degrees south of the equator, so it enjoys tropical weather year-round. Generally, there aren’t significant temperature swings with the highs nearing 33 C and the lows around 22 C all year. Most days are reliably between 27 C and 32 C degrees with more than 75% humidity. 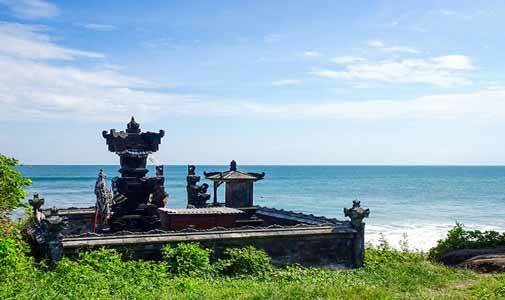 Bali is a small island with a mountain chain running through its centre. The weather throughout the mountainous regions is a little cooler than the typical steamy weather of the rest of the island, especially at night. A light jumper might even be necessary for the central areas. 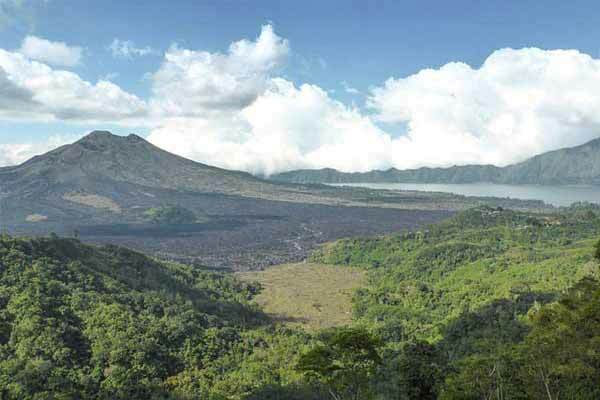 The cooler temperatures of Ubud, in the central region, attract many expats. But it’s not just the cooler temps, Ubud is known as the heart and soul of Bali and is the art centre as well. However, it also gets a little more rainfall than the beach areas of Sanur and Seminyak. There are two main seasons in Bali: wet and dry. The wet season is from November to April with short but frequent heavy downpours. With the rains come higher levels of humidity. January through April is the most humid time of the year making it feel even hotter than it is. January is also the wettest month averaging 347 mm. The rain brings out even more of the natural, green lushness that Bali is so known for, but the seas aren’t that clear due to the heavy rains. During the wet season, the seas are rougher and the beaches can become littered due to debris washing up on shore so if you plan to scuba or snorkel, it’s not the best time to go. However, if you’re a surfer, it’s ideal as the storm churns up killer waves. The downpours can be so intense that you can’t even see a metre in front of you, but it often only rains at night making the days perfect for temple hopping or yoga classes. Even if the storms come during the day, it’s rare to have days when it rains unceasingly and just as uncommon for days without heaps of sunshine. 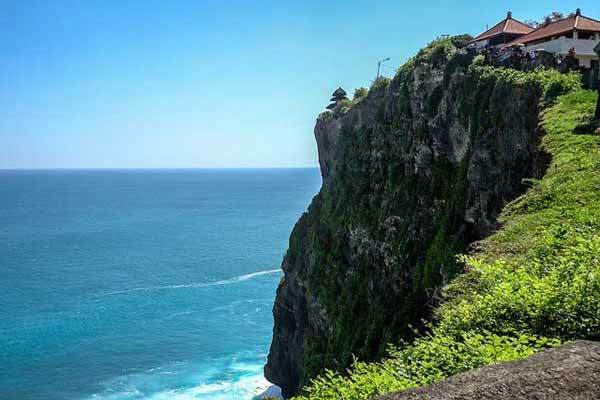 The benefit of travelling there during this time of the year, besides good surf, is that the island has fewer tourists so you can see a more tranquil side of Bali, not to mention the lower rates on flights and accommodation. The dry season is from April to October and is the best time to go if you want the clearest waters or to hike the volcanos, but it is also the busiest and therefore most expensive. And even in the dry season you can expect the occasional rainfall, but the sun comes out just after drying everything up. Humidity levels are the lowest between May and August. July and August are the driest averaging 40 mm of rain per month. July is the windiest month, so the coasts are full of kite surfers taking advantage of the gusts. During this season, the western side of the island creates intense waves, so a lot of surfers enjoy this time of the year as well.